Deli group, can provide not only PP adhesive box file, but also many other reliable office supplies like pencil sharpener, paper cutter, stapler and punch as well as commercial machines and adhesives and tapes etc. 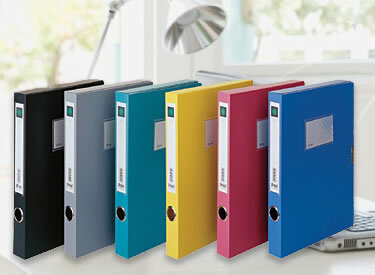 » Expanding File The document bag is suitable to be used either in office or at home. It is convenient to use it to keep files and archives etc. » Expanding File with A4 Sheet 1. Environmental protective PP material is adopted to produce the document file.